With the 2015 pro cycling season on the immediate horizon, 2014 can be easily summarised, quantified and analysed. Spain’s Alberto Contador – who rebounded with the Vuelta a España win and earned the prestigious Velo d’Or trophy from France’s Velo magazine – leads the way, but there were others with stats and achievements. 6 – Italian Vincenzo Nibali (Astana), with the 2014 Tour de France title, became only the sixth cyclist in history to win all three Grand Tours. 16 – André Greipel (Lotto-Belisol) won the most times throughout the season. The German topped Frenchman Arnaud Démare (FDJ.fr) with 15 and Alexander Kristoff (Katusha) with 14 wins. 3 – Record number of Tour of Flanders wins. Fabian Cancellara (Trek) won his third Ronde title in April and helped form part of an exclusive six-man group with Fiorenzo Magni and Johan Museeuw. Belgian Tom Boonen (Omega Pharma) is the only other active rider in the group. 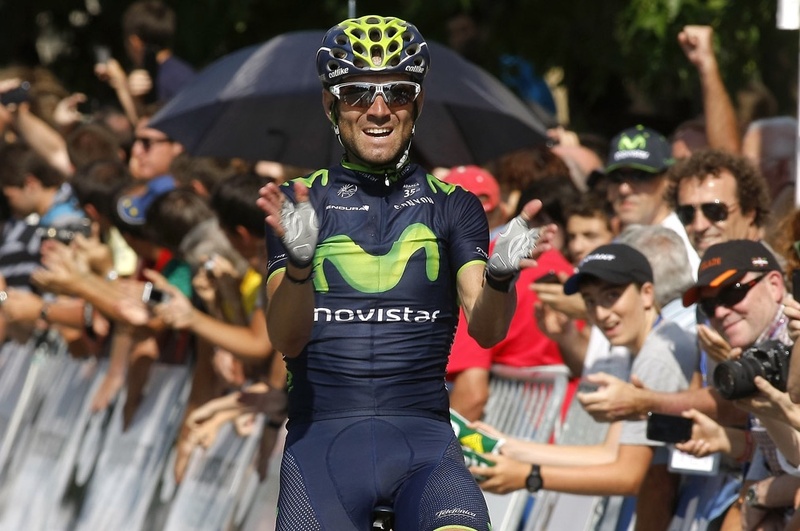 1 – The closing rank for Spain’s Alejandro Valverde (Movistar) in the 2014 UCI WorldTour and statistic websites like Pro Cycling Stats. The 34-year-old finished fourth in the Tour de France and third in the Vuelta a España, and won races like the Ruta del Sol stage race, La Flèche Wallonne and the Clasica San Sebastián. 8 – The most WorldTour wins. Alberto Contador (Tinkoff-Saxo) just lost the WorldTour classification to fellow Spaniard Valverde, but claimed the most victories. Valverde, though with more points, took home only three wins from the WorldTour. 63 – The most wins by one team, Omega Pharma, in 2014. They range from Mark Cavendish‘s early season stage wins in Algarve and Tirreno-Adriatico to Michal Kwiatkowski’s world title in Ponferrada, Spain. Next best: Team Giant-Shimano won 41 and Orica 35 times. Sky took 26 victories. 11 – Giant-Shimano won the most Grand Tour stages, which largely came thanks to Marcel Kittel’s sprint. 6 – Germany’s Marcel Kittel led home the Grand Tour sprints, taking two in the Giro d’Italia and four in the Tour de France. Frenchman Nacer Bouhanni (FDJ) followed behind with five, three from the Giro and two from the Vuelta. 2 – Cyclists who finished in the top ten of the three Grand Tours. Valverde placed fourth in the Tour and third in the Vuelta. Italian Fabio Aru (Astana) stepped on the podium in the Giro for third place and rode to fifth in the Vuelta. 16,675 – Dutchman Veelers covered the most kilometres, as well. 51.852 – The Hour record in kilometres set by Austrian Matthias Brändle (IAM Cycling) on October 30. He broke the 51.110km record set by German Jens Voigt, the first to attempt the record under the UCI’s new rules. 1 – Australian Adam Hansen (Lotto-Belisol) was the only cyclist to ride all three Grand Tours. He set a record, as well, becoming the first cyclist to finish 10 consecutive Grand Tours. His ride began with the 2011 Vuelta. 1 – Number of Colombians to win the Giro. Nairo Quintana (Movistar) became the first to do so on June 1.